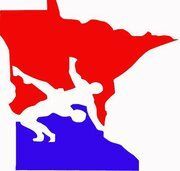 Michael Majerus has been selected to wrestle on Minnesota Team 2 at the USA Wrestling Schoolboy National Duals in Indianapolis, IN, June 5-8. The tournament schedule and link to watch can be found here. Michael is the son of Brian and Liz Majerus. Congratulations Michael and good luck!